The Bill Lane Center for the American West at Stanford University is dedicated to advancing scholarly and public understanding of the past, present, and future of western North America. The Center supports research, teaching, and reporting about western land and life in the United States, Canada, and Mexico. We are engaged in several humanities and technology initiatives, including the Spatial History Project, our Rural West Initiative, and Water in the West, a joint program with the Woods Institute for the Environment. Our work in digital humanities is supported by the Presidential Fund for Innovation in the Humanities at Stanford. Already the world’s largest collection of historical materials on California and the West, with hundreds of thousands of rare book and millions of documents, Bancroft’s diverse collections offer a magnificent array of primary sources to study the character and soul, the hopes and aspirations, the memory of our present western heritage. Bancroft must now plan for its continued growth throughout the 21st Century with increased emphasis on sharing this rich content with new and old audiences online, as well as serving researchers and visitors in our new state of the art facility on the Berkeley campus. MemoryMiner uses photographs to provoke and capture memories for the purpose of telling stories. If you’ve ever noticed the profound emotions people have when viewing and sharing stories about the moments captured in a series of photos, then you understand the motiviation behind the software. While initially targeted at consumers, MemoryMiner has been put to great use at leading cultural/academic institutions such as the Magnes and Duke University. 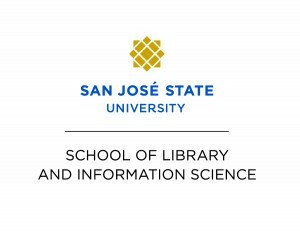 The School of Library and Information Science at San José State University offers a Master of Library and Information Science (MLIS) degree, Master of Archives and Records Administration (MARA) degree, and the San Jose Gateway Ph.D. program in partnership with Queensland University of Technology. The School is a leader in distance education, and the MLIS and MARA programs are fully online. Visit slisweb.sjsu.edu to learn more about our graduate degree programs, sophisticated online learning environment, internship opportunities, the exciting career pathways our graduates are pursuing, and more! Project Bamboo is a multi-institutional, interdisciplinary effort that brings together humanities scholars, librarians, and information technologists to tackle the question: “How can we advance arts and humanities research through the development of shared technology services?” Now in its first, 18-month phase of technology development, Project Bamboo is building applications and shared infrastructure for humanities research. We’re soliciting a limited number of small sponsorships for THATCamp Bay Area, at the $200 (Supporting Sponsor) and $500 (Presenting Sponsor) level. Both levels will have their logos on the official THATCamp Bay Area t-shirt, though Presenting Sponsor logos will be more prominent. Presenting sponsors will also have the ability to display marketing materials or giveaways. All sponsors will be displayed on all web pages of the THATCampBayArea.org website and will be recognized in the opening session, and we’ll also have a space for sponsors to describe their products or projects. Why Sponsor THATCamp Bay Area? THATCamp Bay Area participants are local and national catalysts, scholars, and technologists representing Bay Area universities, organizations, and companies. They are leaders in their respective fields, spanning the breadth of the humanities. THATCamp participants are passionate about technology and its potential for use in a broad range of applications for the common good. Whether you are a Bay Area company, academic department or digital humanities center, these are the people you’ll want to know about you. And this is your opportunity to buy them lunch, coffee, or a beer. If you’re interested in sponsorship, please contact Dave Lester or Jon Voss.